Searching for explosives, weapons, drugs or other contraband. Apprehending suspects. Finding missing people. Attending special events. The job of a police dog is diverse and the benefits they bring to their human partners and the public they serve are many. Today, I’m continuing our dogs with jobs series by investigating another incredible career: police service dogs, or PSDs. I spoke with Fab Giuliani, a sergeant with the K9 unit of the Hamilton Police Service (HPS), my hometown here in Ontario, to learn more about police service dogs. Hamilton has had a K9 unit since the 1960s. Today, the unit is made up of four dogs and four officers (you can read their profiles here). Each day, the officers and police service dogs are called to various situations. “We will respond to everything from stolen auto calls, if we believe that the suspect is going to potentially dump the car and bail. We respond to robberies, we respond to missing persons, we respond to firearms offenders,” explains Fab. K9 officers from Hamilton also assist other police forces that have fewer dogs and need assistance. Fab explains that dogs have become a necessary part of police work and most forces, even small ones, have at least one dog. In Hamilton, all four dogs are trained as general police service dogs. This means that they’re all trained to do bite work (more on this below), suspect apprehension and human scent tracking. From there the officers work with the dogs individually to develop specific skills based on the service’s needs. For example, a dog may be trained to detect drugs, ammunition, firearms and currency. Another dog may be trained to detect bombs. Training dogs for police work is the responsibility of the service. The dogs join the service when they’re between 1.5 and a half and 2 years old. At that point, they generally have some training in basic obedience, but they have not received any additional or specialized training. Fab explains that keeping the training “in-house” is important for building the bond between the handlers and the dogs and also for liability. While the human-dog bond is obvious, I had not considered the issue of liability. The police force has to be accountable for all of its actions, including the actions of its dogs. Therefore, understanding how dogs will react and behave—and training them to respond in the desired way—is critical. “We want to be able to say we trained this dog from the start for these specific tasks. Whether it’s bite work or drug detection or bomb detection. We were the service. The handler was involved right from the beginning for those disciplines,” says Fab. 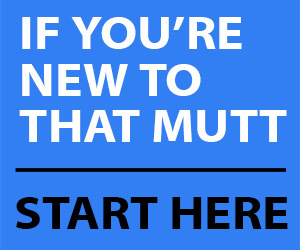 For example in bite work, dogs are trained to apprehend a person with a bite. However, the police force is accountable for any injuries people sustain as a result of a police operation. Training for police service dogs is ongoing, but it starts with a 16-week intensive course when the dog first joins the force. The program is focused on teaching the dog and the handler to work together and to understand what their roles are. Like most dogs with jobs, police dogs see their work as a game and it’s something they enjoy. All training is done with rewards, and the rewards vary by the task. Depending on whether the dog is tracking a person, searching a building, looking for a particular article or completing some other assignment, the dog’s reward will vary. Common rewards include balls, ropes, toys, a tug or a throw. I asked Fab about food rewards, as treat training is the go-to method in the civilian world. He explained that food is occasionally used during training, but only to reinforce specific behaviours, not as the reward itself. In addition to specific skills, training prepares dogs for endurance during a search, dealing with distractions, focusing on their task and numerous other challenging situations. Through the training course, the officers learn to understand their dogs. 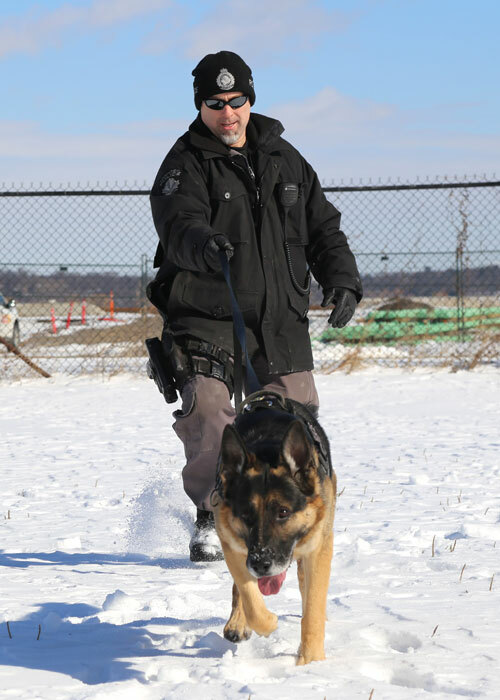 Training continues throughout a PSD’s career. Every time the handler and the dog are on shift they spend part of that time training. As well, every week at least three of the four dogs train together as a unit. Finally, twice a year the officers and dogs do two weeks of training, including a week of recertification where they recertify in any of the disciplines they’ve been trained in. Along with training, daily exercise—or an “energy burn”—is also an important part of a PSD’s routine. This often takes the form of a run or a game (like looking for a hidden item) incorporated into a run. Along with giving the dogs exercise, these outings also hone detection skills and reinforce the dog’s work ethic. While police dogs are highly trained for police work, they are also socialized. Obviously, the dogs must have a strong bond with their handlers. Dogs also have to work with other officers outside of the K9 unit and with the general public. If you see a police dog, whether at a special event or as part of a police operation, Fab emphasizes that people should never approach or try to pet the dog without talking to the handler first. What breeds are used for police dogs? Most police dogs are German Shepherds. In Hamilton, one of the dogs is a German Shepherd/Belgian Malinois, a cross commonly seen in policing. Beyond the breed, Fab explains that the dogs have to have high drive, but at the same time be balanced. When Hamilton is looking for a new PSD, the service works with brokers. These people are connected with breeders around the world and find dogs that meet the criteria set out by the police force. Representatives from the force then test the dogs (Fab said they will often evaluate 15-20 dogs) to find the best fit—and there is no guarantee that they will find the right dog. Some forces have breeding programs, but these are a significant commitment of both people and funding. 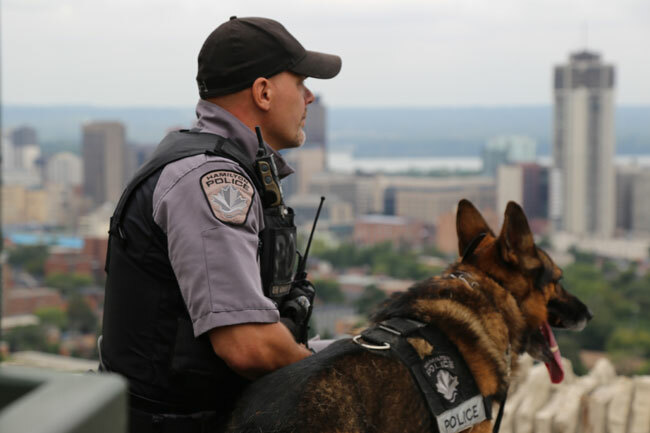 In Hamilton, on average the force pays between $7,000-10,000 (CDN) per dog. Budget, always a concern for municipalities and their police forces, plays a role in K9 units as well. “It’s not necessarily the price of the dog, the cost of the vehicle or the equipment that associates with the dog. It’s more so the cost of the officer,” Fab explains. Where do police dogs live? Being part of the K9 unit is a big commitment for the officers. Police service dogs live with their handlers and their families. It’s important that the dogs have a relationship with handlers and their families, but police dogs are not pets. Generally the dogs do not live inside the home. The police service provides handlers with a pen, dog house and other elements necessary for a safe comfortable shelter. Police service dogs usually work for approximately five or six years. The decision of when to retire a dog is driven by their overall health and well-being. The service aims to avoid injuries and ensure dogs go into retirement feeling good. The training and drive required of police service dogs presents challenges when it comes to retirement. 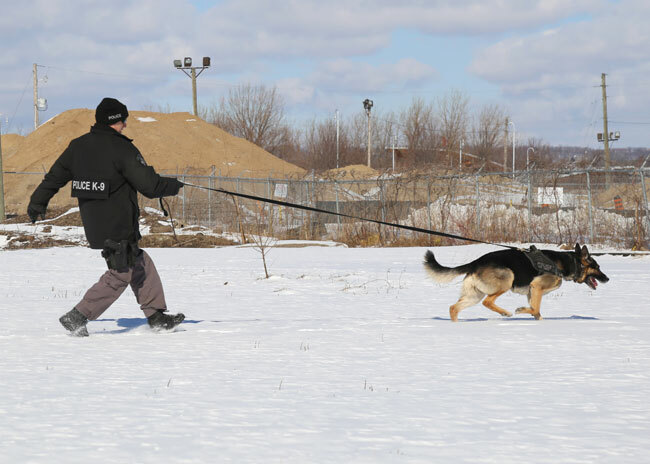 In Hamilton, there is no option for dogs to live with someone outside of the K9 unit at the end of their careers. When a dog is no longer able to work as a police dog, its handler has the first option to adopt the dog. Then, other handlers on the unit may choose to adopt. However, if none of them take the dog, then the dog is euthanized. “Because of all the training that’s been done—and ultimately a police dog is trained to bite—you don’t want to have that dog go into an environment or given to a family who doesn’t understand the training that the dog’s been involved in all its life,” Fab explains. Once dogs are adopted, the transition from working dog to pet can be challenging. “They have such high adrenaline, their work ethic is awesome, but you put them into a retirement situation and they can struggle a little bit for the first little while,” says Fab. Helping the dogs adjust is the responsibility of the handler—now owner. Having worked with the dog every day for years, the handlers understand their dog’s needs, find outlets for their energy and help them transition to their new life. When a dog retires, the handler generally leaves the K9 unit and takes on a different job within the force. Police service dogs are born and bred for their work, and they love what they do. From public events to dangerous situations, the K9 unit participates in all aspects of policing. Have you ever seen a police service dog at work? 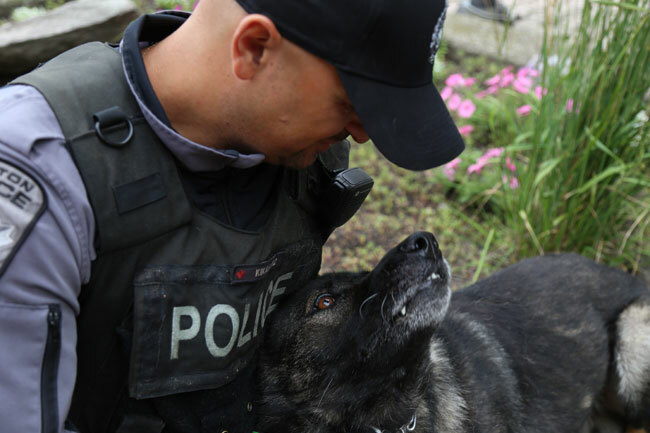 What impresses you most about the work of K9 units? 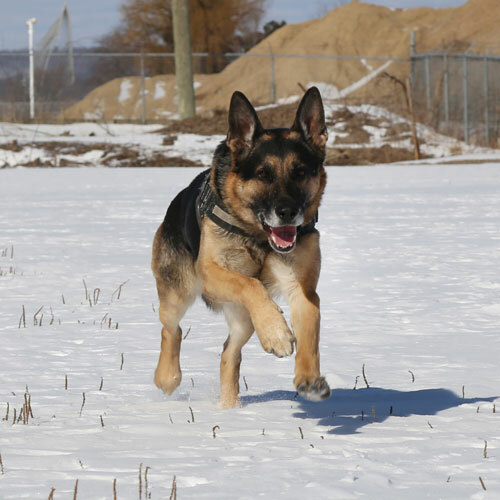 Hamilton Police Service has only lost one PSD in line of duty when it attaché a gunman trying to shoot the handler. The dog was shot and killed. That is something I didn’t ask about when I was talking with Fab. It is a dangerous job for the dogs as well as the human officers. Thanks for another fascinating read! It’s interesting that food isn’t generally used as a reward during training. It’s sad to think a retired police service dog is euthanized if the handler is unable to adopt, nor is anyone else. Hopefully this doesn’t happen too often as a dog wouldn’t be all that old upon retirement, generally speaking. I wonder if this is the case in most police departments. Thank you for another excellent, informative read about those amazing working dogs out there. Police service dogs are in a class by themselves. I learned so many interesting things writing this article. I was surprised about the retirement factor. I can understand, given the dogs’ training, but it’s sad to think about. One thing that Fab did not mention was that all the police service dogs, I believe have gone to handlers homes to live out their lives. None to my knowledge have been euthanized. I hope that makes people feel better.